For many of us, a large portion of our daily lives is spent in the office. 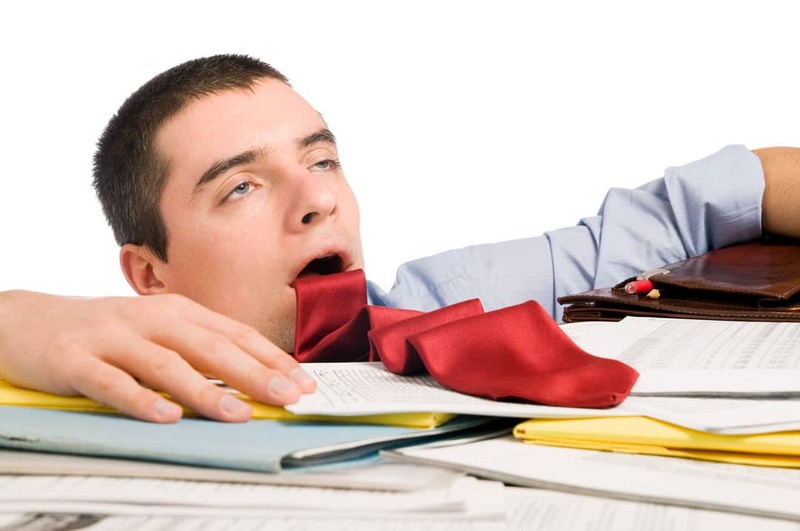 It is said that over a lifetime, an average person will spend over 90,000 hours at work! With all the time we spend in our place of work, it is bound to have a huge impact on your quality of life. If you are in an office environment, this is a lot of time spent indoors! It is, thus, important to make the experience as pleasing and gratifying as possible. One of the most simple and effective ways of doing this is through the use of plants. Not only do they improve the aesthetics of any office space, they have mental and physical benefits to the people working within. There is growing evidence from various research on people-nature relationship that yes, exposure to nature, and plants is beneficial to health and well being. And this certainly applies to the workplace. It is said that the use of plants, in any form, reduces workplace stress, improves concentration and enhances performance of employees. Reduced Stress Levels. In a 2010 study conducted by the new University of Technology in Sydney, there was a significant reduction of stress among workers when plants were introduced to the workplace. Consider these results – a 37% drop in tension and anxiety; 58% decrease in feelings of depression or dejection; a 44% decrease in anger and hostility; and a 38% reduction in fatigue! It is said that the addition of green and flowering plants contribute largely to lifting employee spirits and promote wellbeing and performance. Increased Productivity. Even with only a handful of plants, employees’ productivity is increased by as much as 15%. In fact, it is said that adding just one plant per square meter improved memory retention. People who see plants from their desk everyday are psychologically engaged. This leads to more happiness in the workplace which in turn, translates to increased productivity. Healthier Work Environment. A majority of people in the US and other developed countries spend 90% of their time indoors, mostly in places where air is just re-circulated. Increasingly, indoor air quality is becoming a concern. While you may think that being indoors shields you from air pollution. This is, in fact, a misconception. Indoor air can be 12 times more likely to be polluted than outside air due to compounds found in clothing, furnishings, paints and building materials. Through the natural processes of plants, they remove as much as 87% of volatile organic compounds and toxins from the air every 24 hours. Plants have the ability to purify indoor air by pulling contaminants into the soil where they are converted into plant food. Aside from the air purifying effect of plants, they also are excellent humidifiers. Staying inside an air conditioned environment for long periods can cause dry skin, colds, sore throats and dry cough. Plants release 97% of their water intake into the air. Put several of them in a room and this results in improved humidity. 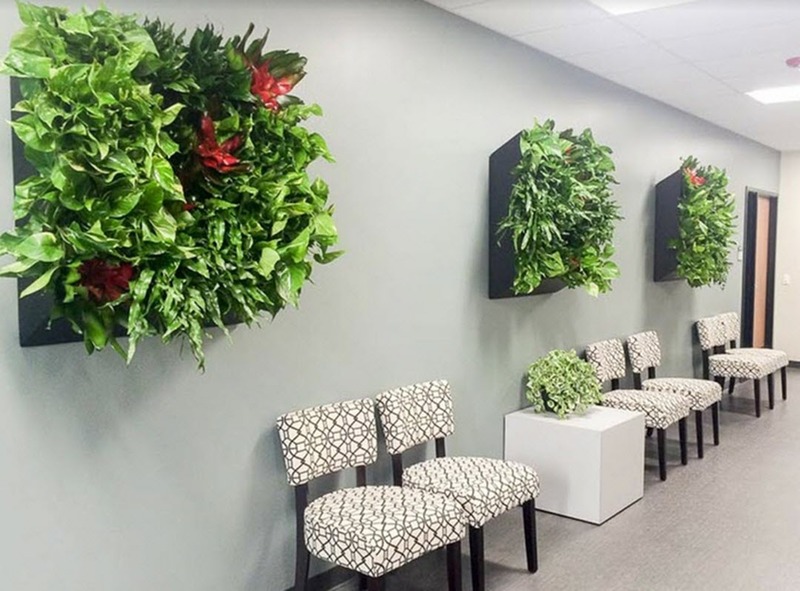 In a study conducted in Norway, sickness rates dropped by as much as 60% in offices where natural elements such as plants and foliage were incorporated. Reduced Noise Levels. Plants have the excellent ability to absorb sounds thus reducing the distracting effects of background office chatter and sounds. This helps increase employee concentration and productivity. It is important to carefully plan which indoor plants will thrive best in your work environment. Inside Plants is an expert in the field of indoor plantscaping. With our office plant service, we help you design your indoor landscaping and offer advice on what plants best suit your particular situation, install them and ensure they are well established. And we help maintain your plants so you protect your investment. 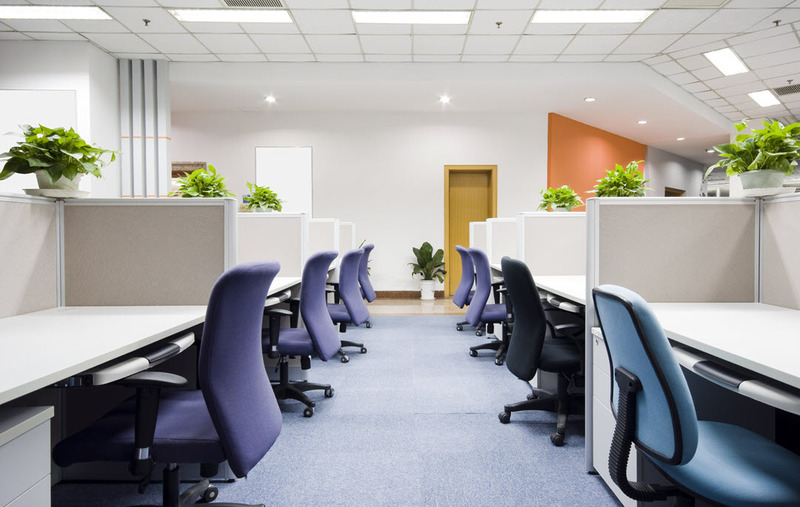 Purchasing or renting plants for your office space is an investment, not only in the ambiance and making the space inviting, but in your employee health. The benefits you reap are worth much more than the dollars you put in making your space “green”. As an expert office plant service company, Inside Plants, we help you achieve a beautiful plantscape. Comprehensive and Custom Design. 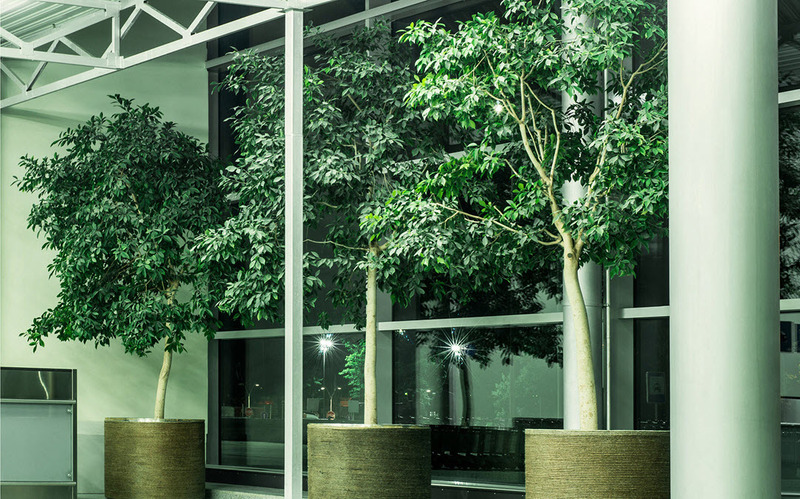 Taking into consideration key factors such as your office interior design, natural lighting available and budget, we design a plantscape that suits your needs and situation. You have the option to purchase or rent suggested plants and planters. Delivery and Installation. Once you’re good with our proposed plan, we work hard to translate this blueprint to reality . Not only do we install your plants, we carefully monitor and make sure that they are well established. Our new plants are given careful attention to ensure they will thrive in their new environment. If needed, we make changes until we are sure that your plants will flourish. Office Plant Monthly Service. Our dedicated and highly skilled office plant service technicians will ensure that “you’re not caught with your plants down”. 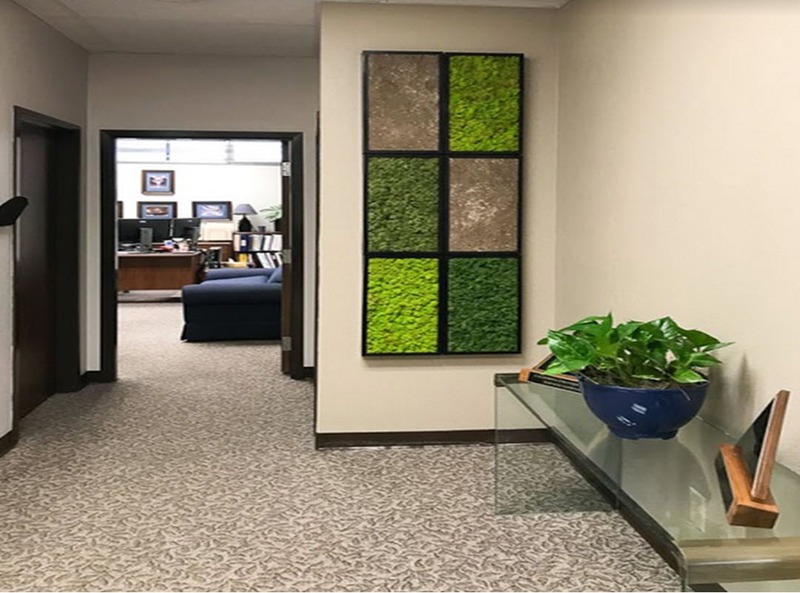 Under our team of certified plant technicians, Inside Plants ensures that the investment you’ve made to make your office space a green sanctuary is well taken care of. Make your office or commercial space a beautiful green oasis. Inside Plants provides the best indoor plants and services to make your vision into a reality. Call us at (951)371-4637 or (760)322-9909 to get started.